We are getting closer to plastics that will decompose in landfills. Energy biomass, is defined as “organic matter, especially plant matter, that can be converted to fuel and is therefore regarded as a potential energy source”. A material called Polybutylene Succinate (PBS) will turn into carbon dioxide, water, and biomass in a landfill with other decomposing materials. This means that biomasses, such as sugar cane or cassava (a tuber grown in tropical regions), can be used to create PBS. The world’s first PBS manufacturing plant has recently been completed in Thailand in a partnership between Mitsubishi of Japan, and PTT, a Thai company in the oil business. Together they plan to become a world leader in bio-plastic production. The plant can produce up to 20,000 tons of PBS a year. Several other companies are working on various types of “Biodegradable” polymers for plastic resins, but until now only small quantities have been available. Companies that need large volumes of material were precluded from dipping their toes into this exciting new material. The toymaker Lego is one example. Continuing consumer concerns about disposable plastic use (filling landfills with plastics that break down but never decompose completely) has created a market for alternative plastic polymers that won’t leave the world filled with plastic. Plastic has so many qualities, that cannot be duplicated with other materials, in easy-to-manufacture forms. It would be unimaginable for most of us to live without plastic products, such as cell phones, computers, TVs, polyester clothing, and much more. The common use of these new biomass produced polymers, that are compostable, could mean a dramatic change in the world’s long-term waste problem. Compostable means that when an object is placed in a compostable land fill, it will break down into natural materials. These new biomass materials are described as both “bio-based and compostable.” The new polymer is made from biomass, not petroleum and returns to biomass, completing the natural cycle of life, instead of remaining plastic for generations. The wide range of plastic polymers, and their characteristics, is enormous. Polybutylene Succinate will not replace all of the products that are made today. The first types of production will include paper coating, flexible packaging, and injection molding. Many papers have plastic coating. Paper cups are one example. Many cups that may seem biodegradable, actually have a thin plastic film that creates a higher quality cup that will last longer and not absorb the liquid. Other papers for food wrapping or paper boxes have plastic coatings as well. PBS will allow most papers to be recycled or re-pulpable into new paper and cardstock. Flexible film is used for plastic bags. While some bags are currently recyclable, many are not. PBS bags will be included in normal trash dumps where they will de-compost with other biomass. This will put many consumers at ease; simply throwing paper and plastic away will create new biomass that can be used for soil in the future. All those K-cups, that people love for their Keurig Hot coffee makers, can also be thrown away with less angst. Plastic cups of all types can be made from PBS using the injection molding process. Many other products such as plastic forks and spoons, toys, disposable medical products, small electronic parts, and automotive parts can be made from PBS. While those that are disposable, like K-cups, forks, and disposable medical products, are perhaps most useful, many other products using the injection plastic molding process will also become biomass sources and can be composted when they become obsolete in the product life cycle. However, the cost for all these new products is not well understood yet. Thousands of plastic manufacturing companies will need to take customer specifications, through the quoting process, to understand which applications will be economical. Certain biomass products such as plastic bags, if cost-effective, will quickly replace the old high-density polyethylene or HDPE bags. Some states such as California will likely require this change regardless of cost. 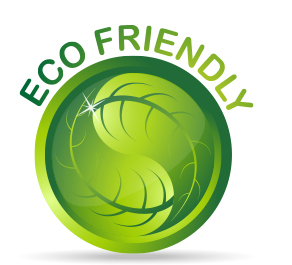 When consumers do understand the difference, they have been shown to pay more for eco-friendly products. Many consumer companies will want to switch to the new biomass plastic as an eco-friendly premium product. The world is in need of new eco-friendly plastic products. Plastic cannot be replaced for many of its uses, but these new products do show promise for starting the development of eco-friendly plastics in the short term. Microdyne Plastics is right on the cutting edge for these new possibilities. We are currently quoting and doing trials using PBS. We see great possibilities ahead, and we will be ready when our customers need to move the dial toward eco-friendlier products. Do you have a product that would make a great biomass, bio-compostable product? Send in the quote sheet below, and let us take a look. 2. Thai energy group PTT to invest $1.14 bln in biochemicals, Reuters, June 21, 2016.